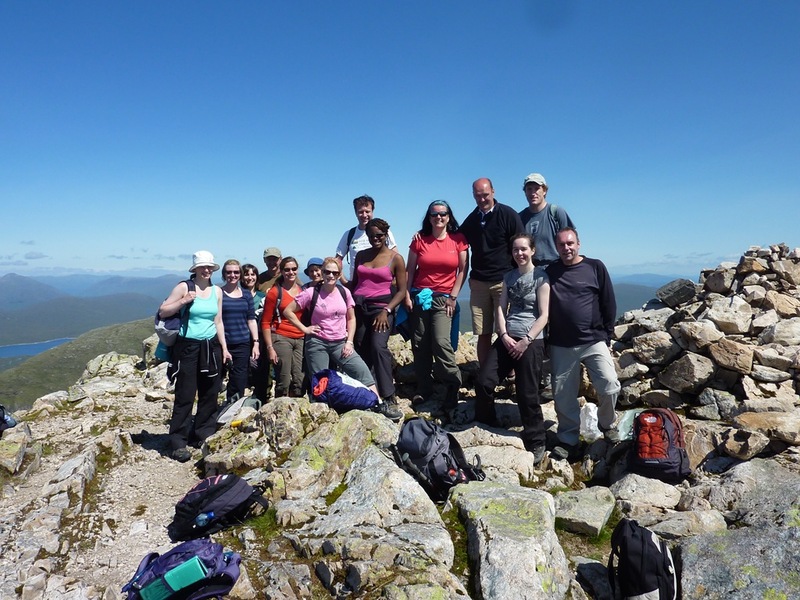 Last week we spent an incredible weekend climbing Ben Nevis and Buachaille Etive Mor. The incredible part? Wall-to-wall Mediterranean sunshine (ie hot, hot, hot!) 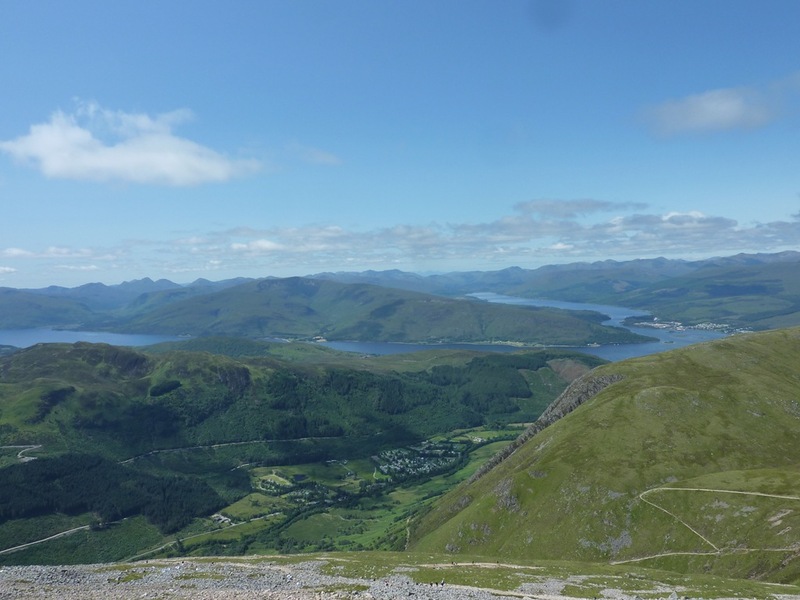 clear views and men climbing Ben Nevis in their pants! 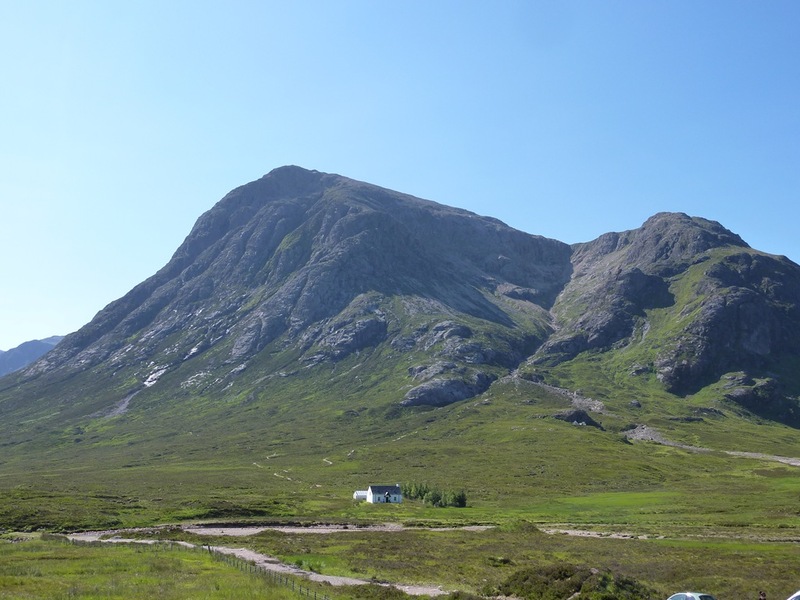 One woman who went said that climbing Buachaille Etive Mor was the best day of walking she’d ever had in Scotland. And I have to agree. 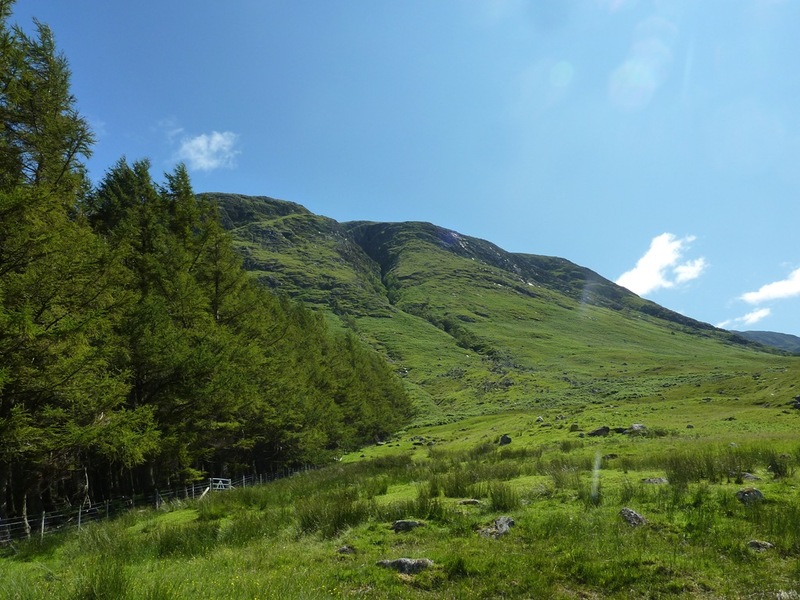 We stayed at the Bridge of Orchy Hotel and Bunkhouse. I’d highly recommend both. The food at the restaurant is excellent and staff very helpful. Perfect place to stay and there is so much to do nearby. 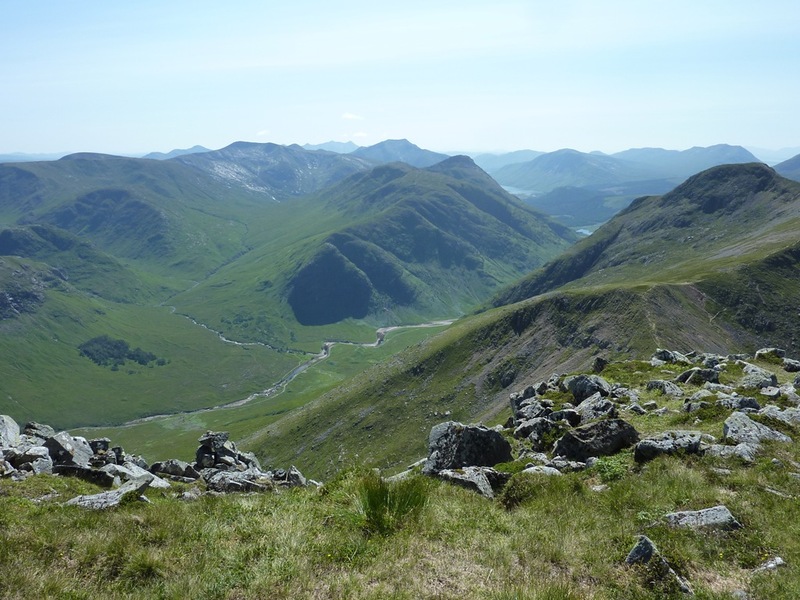 Here for your delectation a few pictures of a glorious weekend. On the way up. 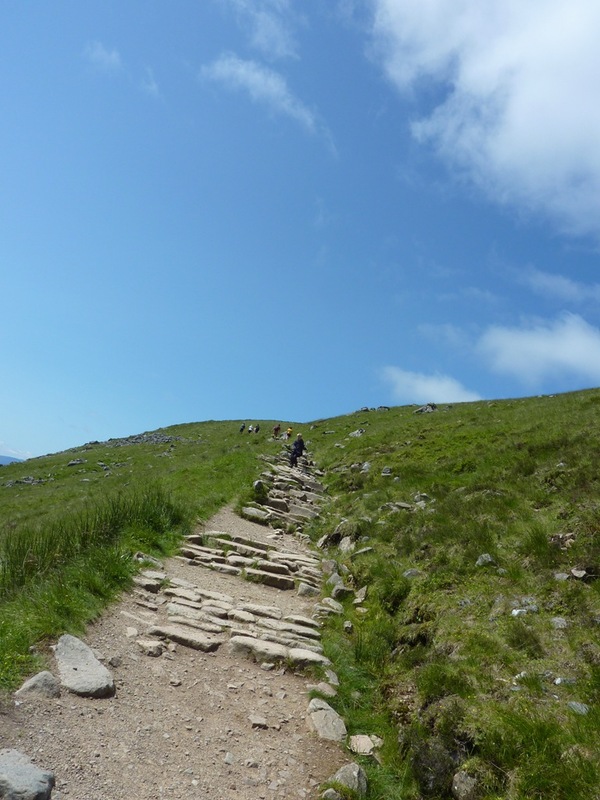 The path zig zags the mountain so for the most part it’s a gentle ascent. But there are some steeper sections. Incredible views on the way up. 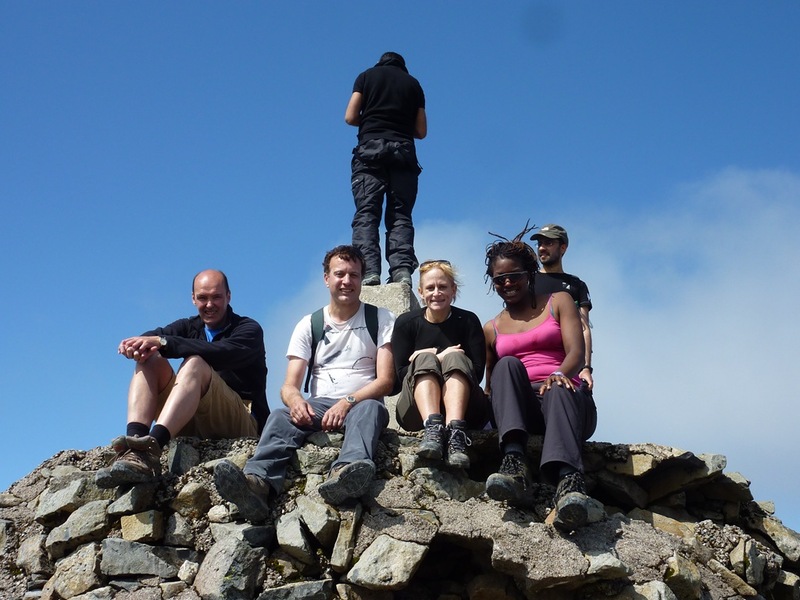 A few of us on the summit of Ben Nevis. 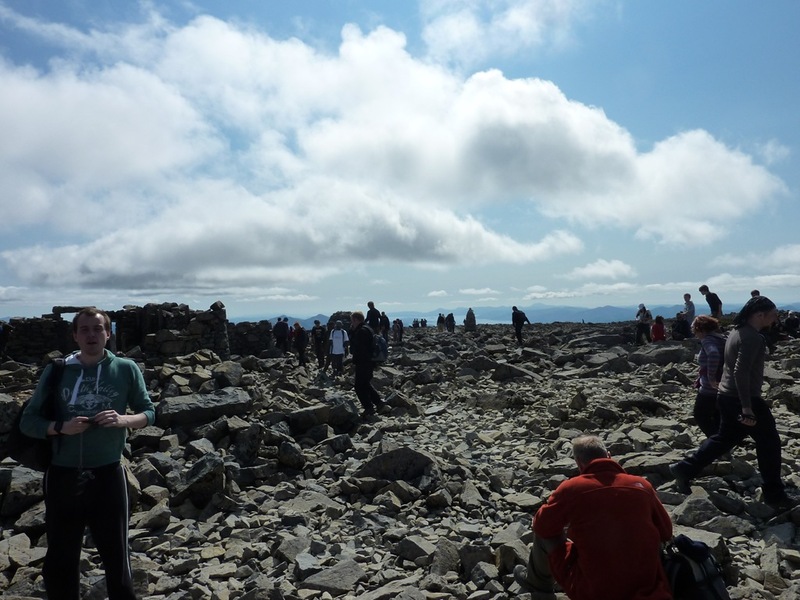 It took us 3 hours to reach the summit at a relaxed pace. Great feeling! 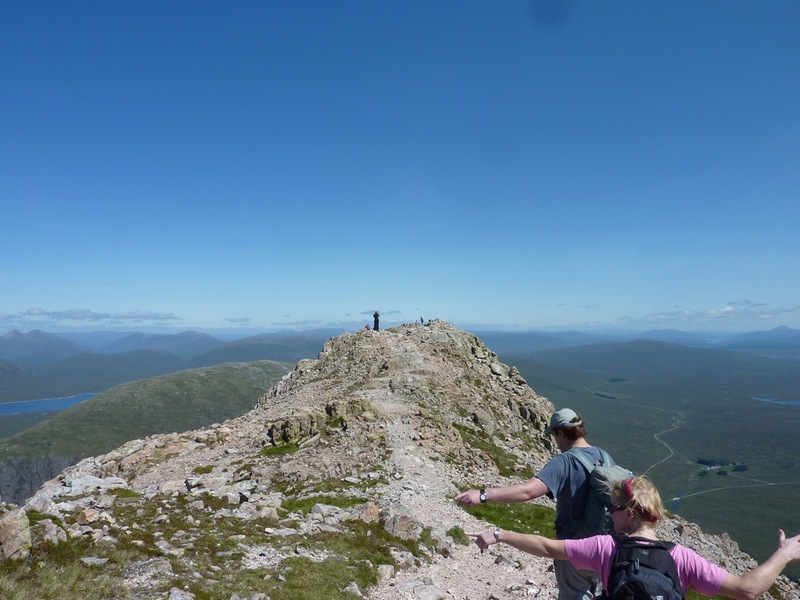 The summit looks busier than Fort William on a beautiful day like this. The boys in pants doing their thang! Feeling ecstatic on the summit! 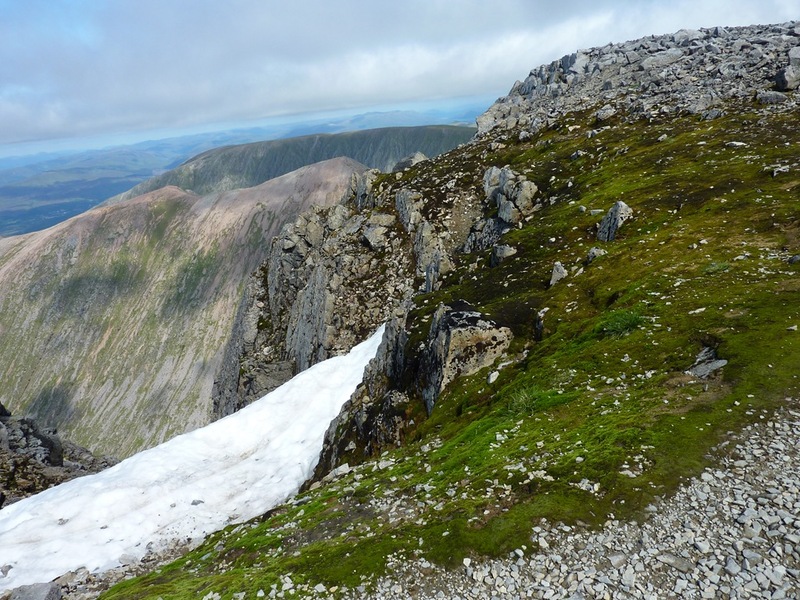 The Buachaille is a steep munro. 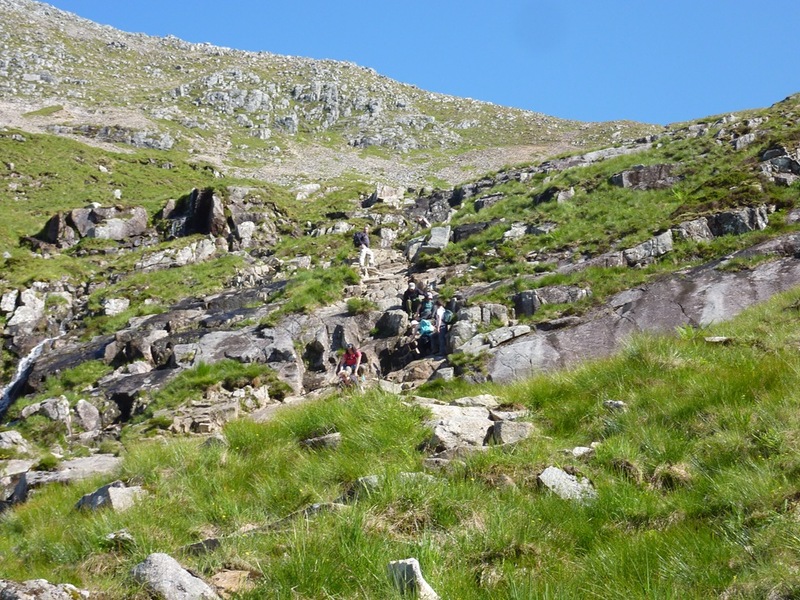 More interesting and challenging than Ben Nevis. I loved it. 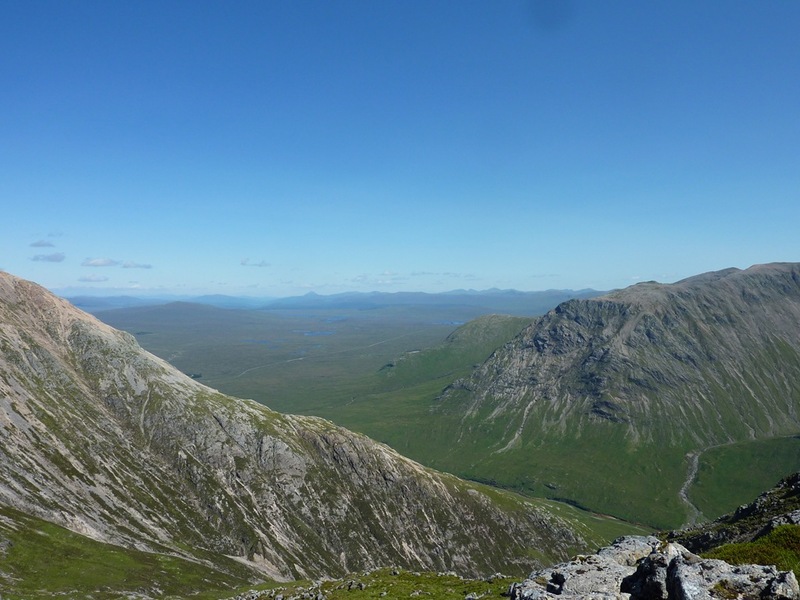 The descent was the difficult part, Buachaille’s steep and rocky. Here on hands, and bums we negotiate a particularly tricky section. You can just make us out in the middle of the photo below. Our next weekend is in Speyside in September. 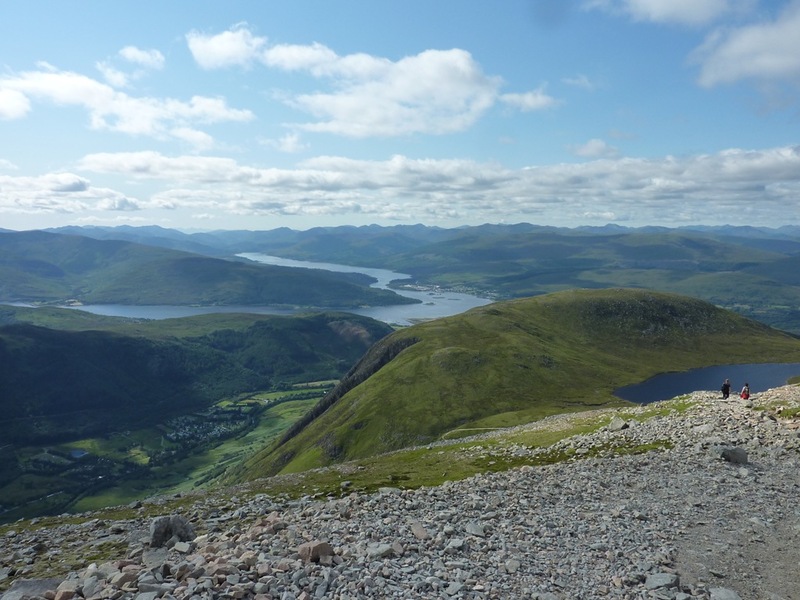 This time it’s a mix of hillwalking, cycling and sightseeing. You choose how much or how little you do. 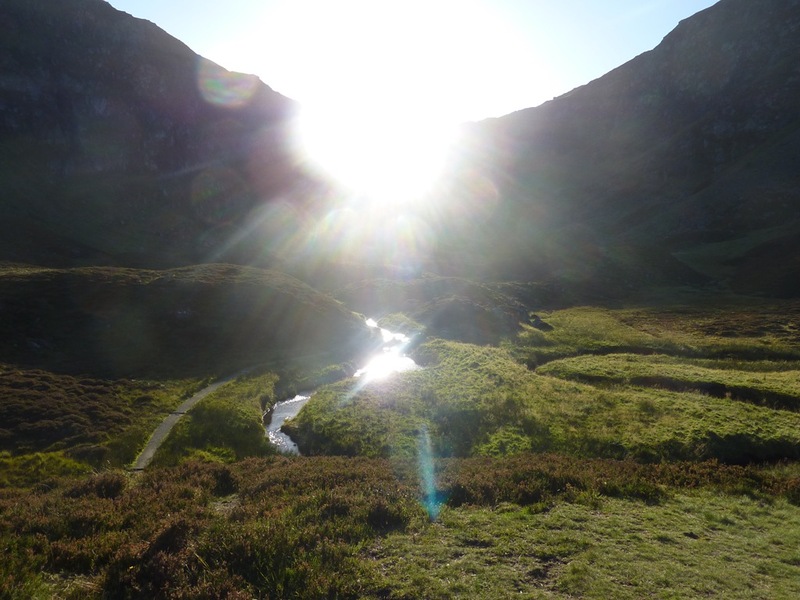 Last year’s trip to Glen Clova in September was lovely, with brilliant weather. To find out more about Speyside in September visit our Speyside weekend webpage. 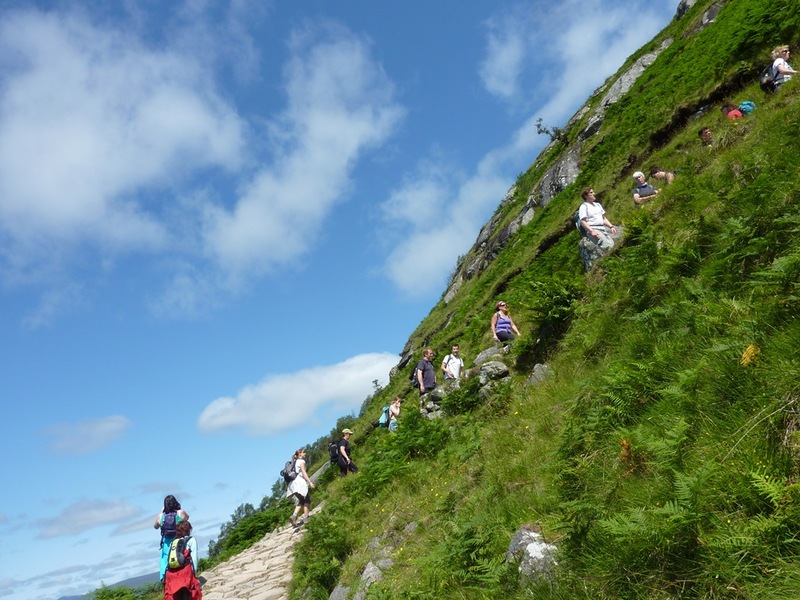 You can find out more about the the Sunday Brunch Club Walking Group here. 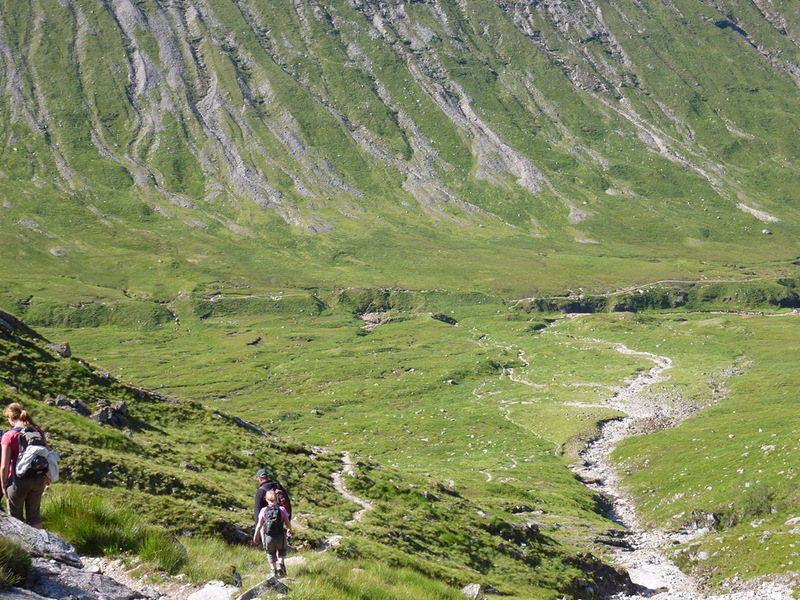 What are your favourite walks in Scotland? 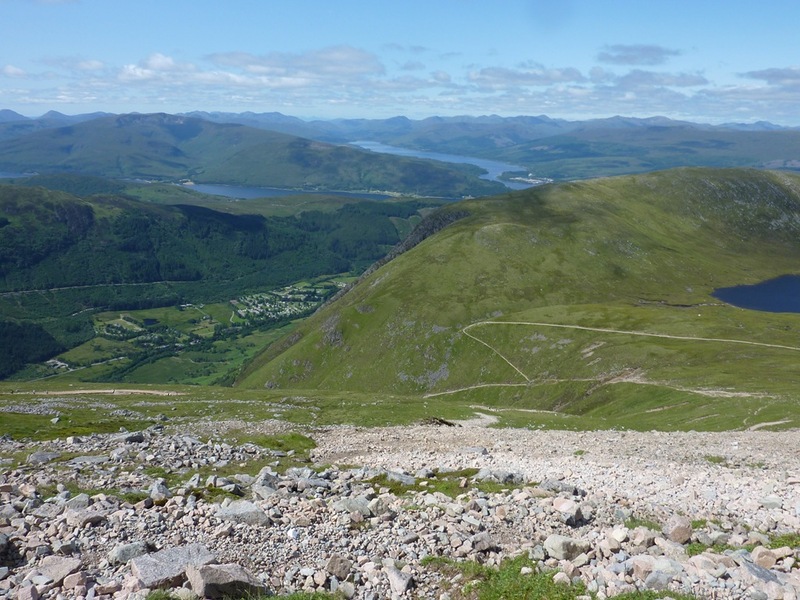 This entry was posted in Active, Hillwalking and tagged ben nevis, Bridge of Orchy Bunkhouse, Bridge of Orchy Hotel, buachaille etive mor, Edinburgh hillwalking group, hillwalking, speyside, weekends away in Scotland. The Sunday Brunch Club is Edinburgh's leading social and activies network. This blog is for anyone who loves Edinburgh. We'll be bringing you lots of insider tips on what to see and do. Click this picture for our contact details, we'd love to hear from you. The Big Grand Hogmanay Ball – Piper Heidsieck Champagne Giveaway!